You can relax knowing your dog will be very well taken care of at our luxury canine hotel. Our custom made, climate controlled, “atrium” style suites will help your dog sleep like a baby. 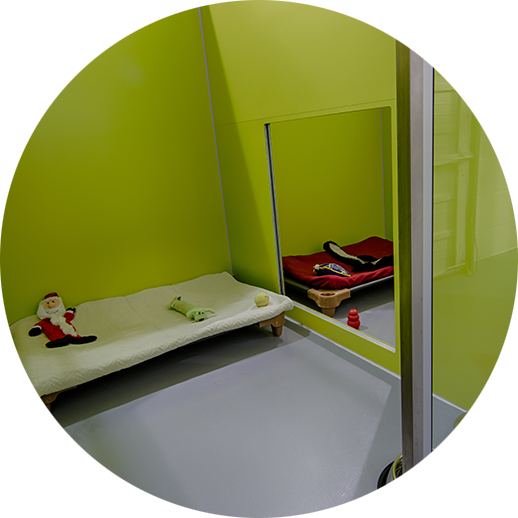 To reduce any stress or anxiety while away from home, the suites are designed so the dogs do not face each other. 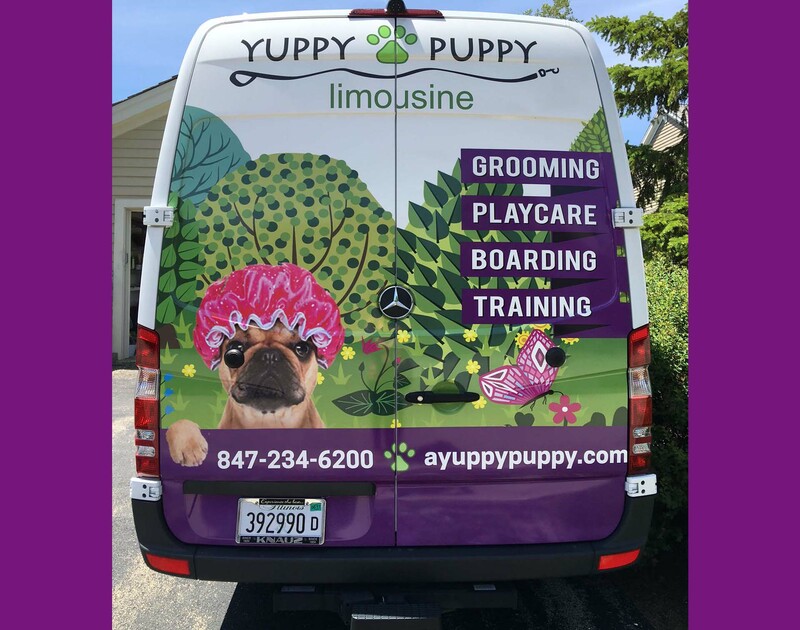 Each suite includes a fleece-covered pet cot that provides optimal comfort, and additional orthopedic inserts are available for older dogs or for dogs with joint problems. Each night the bedding is sprayed with ThunderSpray, a calming pheromone mist. At night, every dog falls asleep to the sound of “Through a Dog’s Ear” music, clinically demonstrated to calm canines. We also offer thundershirts for dogs who have significant separation anxiety issues. Daily, supervised playtime in our playcare program before being tucked in for the night at 8pm. Daily naps from 11:30-1:30pm in their suites. We provide Kong toys stuffed with treats for mental stimulation and play during this time. Meals are served per your instructions. We HIGHLY recommend you bring your dog’s own food for their length of stay. Changing food can cause gastrointestinal problems that will make your pal uncomfortable while he/she’s away from home. Worldwide webcam access. There is NO additional charge to view your pet! “Quiet time” or “one-on-one time” with our reception staff or inside your dog’s private suite for a small additional fee. Complimentary departure bath with any 7-night boarding stay. 100% Fear Free Boarding! You can relax knowing your dog will be very well taken care of at our luxury canine hotel. 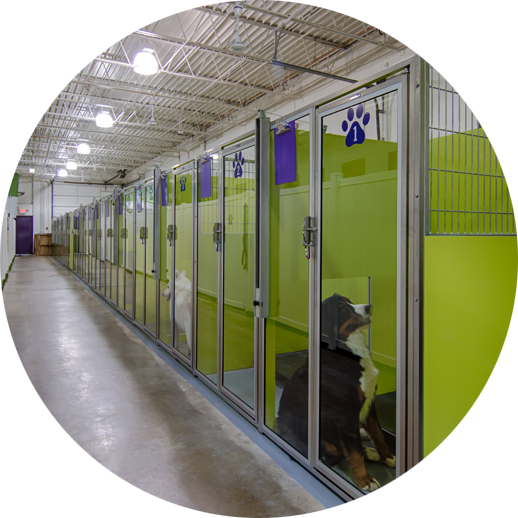 Our custom made, climate controlled, “atrium” style suites will help your dog sleep like a baby. 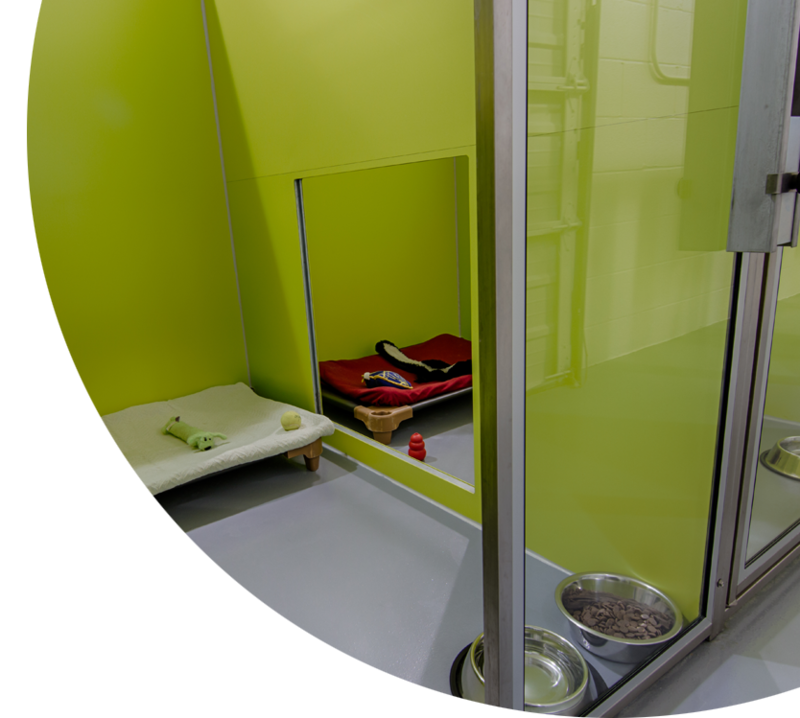 To reduce any stress or anxiety while away from home, the suites are designed so the dogs do not face each other. 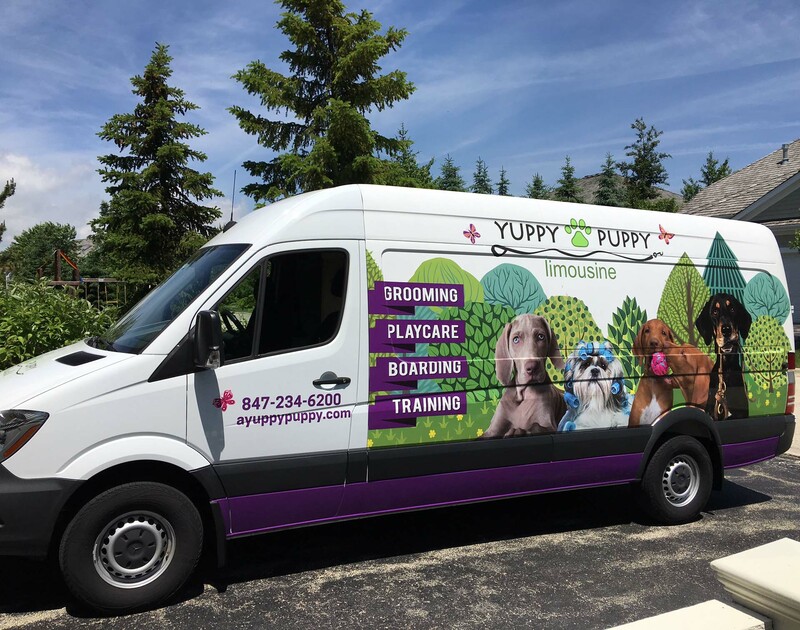 Each suite includes a fleece-covered pet cot that provides optimal comfort, and additional orthopedic inserts are available for older dogs or for dogs with joint problems. Each night the bedding is sprayed with ThunderSpray, a calming pheromone mist. At night, every dog falls asleep to the sound of “Through a Dog’s Ear” music, clinically demonstrated to calm canines. We also offer thundershirts for dogs who have significant separation anxiety issues.